If you follow my Instagram, then you will have probably noticed that I share a lot of photos of coffee. That’s because I am a major coffee addict, in a healthy way of course. 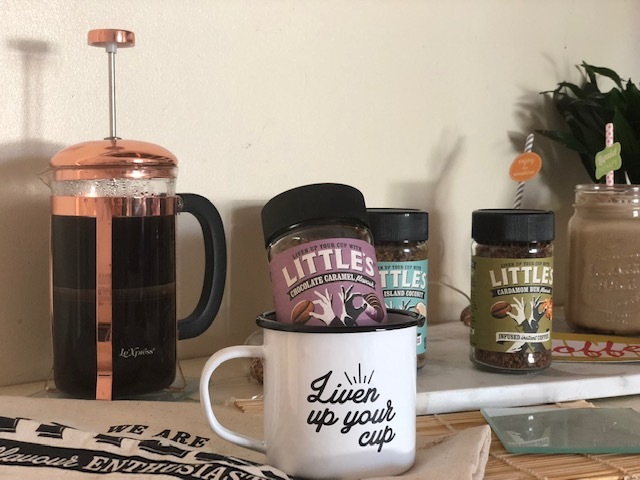 I drink a lot of coffee – perhaps a little too much at times but it’s my go-to drink and when it tastes as good as the We Are Littles coffee, it’s not easy to say no, is it? Anyhow, last month when We Are Littles contacted me and asked if I would like to try out some of their coffee, I jumped at the chance. 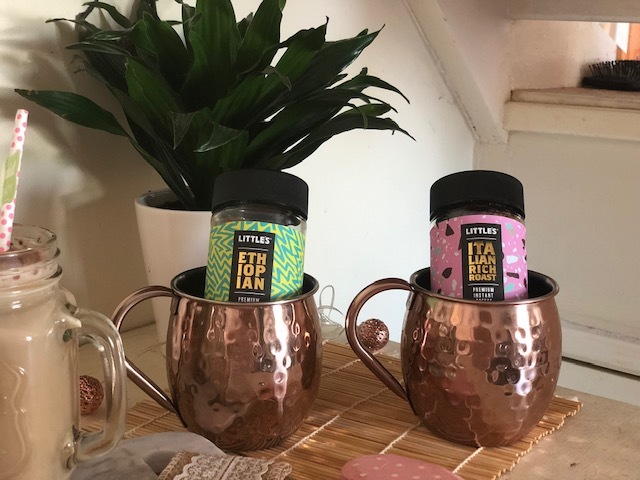 I was especially excited to try out the We Are Littles range because the brand itself is based in the South West, and I am an avid believer in supporting local businesses. 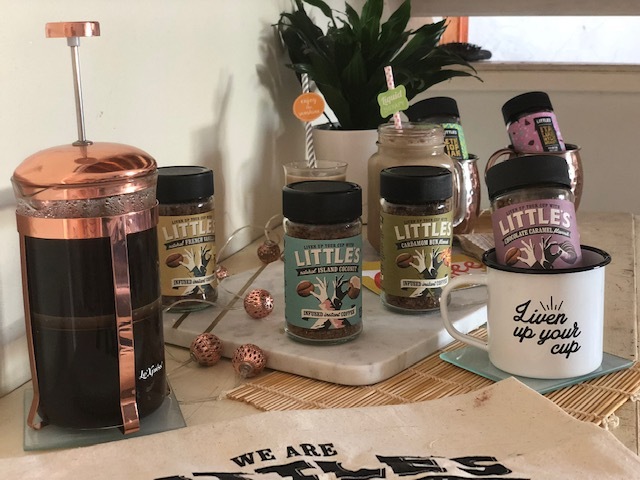 Of course, the We Are Littles coffees aren’t just stocked in the South West, they’re sold all over the country, but the fact they are created right here in Devon gives the brand an edge for me. I’m a total Devon girl and I love anything that comes from this region. Who are We Are Littles ‘The Coffee Enthusiasts’? 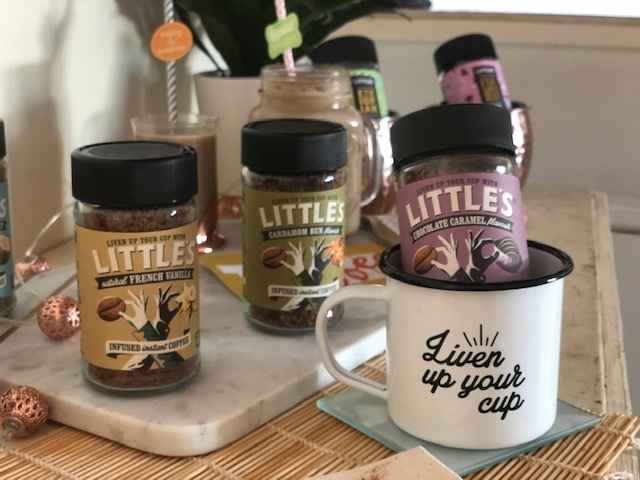 The concept behind We Are Littles began nearly three decades ago in Finland when husband and wife, Henry and Leila Little came up with the idea of making American-style flavoured coffee. Leila is a Finnish national and Harry was an American student studying in Scandinavia when the couple met. It was their travels to the US – specifically California – that inspired them to create their own brand of specialty coffee after they learned of specialty coffee roasters who were adding natural flavour extracts to their coffee beans. Feeling inspired, the couple returned to Finland, quit their jobs and began roasting and infusing their own coffee beans with all kinds of flavours. Although their business was small at first, over time it began to grow. By the early nineties, Henry and Leila were going head to head with some of Scandinavia’s most successful coffee roasters. However, by 1995 they decided a change was in order and moved to the UK with their two children. Today, Will Little, one of Henry and Leila’s children now runs the family business with his wife, Caroline. What coffees was I sent? I was sent a combination of coffees; two of the We Are Littles Premium Instant Blends, one of these was Ethiopian and the other was Italian Rich Roast. I was also sent four flavoured coffees; these were Chocolate Caramel, Island Coconut, French Vanilla, and Cardamom Bun. What were my first impressions? Scent wise, my favourite coffees were Chocolate Caramel and Island Coconut – I’m a major chocoholic and I love everything coconut flavoured so this was no big surprise to me. To be honest, all of the coffees smelt amazing, it’s just that these two were my favourites. How did I serve these coffees? I took inspiration from the likes of Costa and Starbucks with this creation, making my own iced cappuccino with an alcoholic twist. Of course, you can skip the Baileys if you would prefer, or you could add another tipple – Disaronno also works well. Mix the hot water with the We Are Littles coffee in a small glass, then place the ice in a bowl and position the glass with the coffee in, in the ice to chill the mixture. Whisk or froth the milk until it becomes thick, creamy, and stiff peaks begin to form. Gently tap the milk container on a hard surface to remove any extra bubbles. Pour the chilled coffee into your serving glass, top with ice cold milk, add the Bailey’s if using, and slowly pour the frothed milk on top. What other flavour combinations could you try? Whisk or froth the milk until it becomes creamy and slightly thicker – you don’t want it too thick though. Gently tap the milk container on a hard surface to remove any extra bubbles. 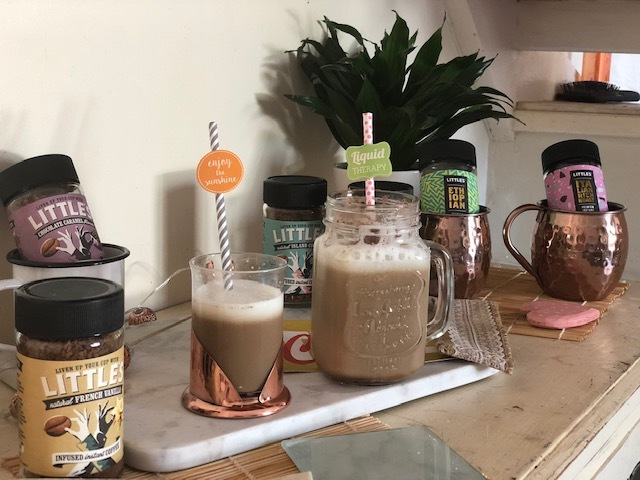 There you have it, a couple of recipes that the We Are Littles coffees are perfect for! What I love about these coffees is that they don’t contain added sugar, they are literally just coffee beans and infused natural flavours. We Are Littles have just released two new autumn flavours that you HAVE to try if you get the chance – these are Gingerbread Cookie (my absolute favourite coffee flavour) and Chocolate Chai. Previous Article← What Are The Best Places To Add To Your Holiday Bucket List?